Upon leaving the governor’s mansion, Arnold Schwarzenegger wasted no time in tweeting his desire to get back to acting, immediately making “Terminator 5” a hot property. Universal Pictures (our corporate cousins) are interested in putting the franchise in the hands of Justin Lin, who’s directed the last three “Fast & Furious” films for the studio, reported Deadline. “Terminator Salvation,” which was directed by McG and starred Christian Bale, Sam Worthington and Anton Yelchin, was so bad that when James Cameron was asked last summer about the idea of taking back control of the franchise he’d launched, the director dismissed the idea by saying, “Frankly the soup's kinda been pissed in by other filmmakers." Ouch. But as bad as “T-4” was, it didn’t stop William Wisher, who helped Cameron write the first two films, from writing a treatment for “T-5” and an outline for “T-6.” Whether anyone is interested using them is another question. 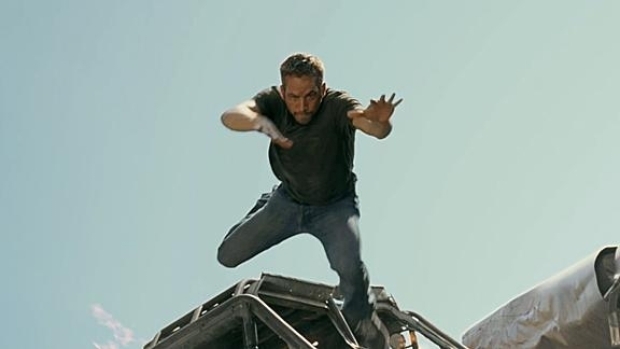 Vin Diesel and Paul Walker are back together for "one last job" (isn't that always the way? ), but this time they've got to deal with a lawman named Hobbs (Dwayne "The Rock" Johnson) leading a special unit to stop them. This is gonna be the fastest and most furious sequel ever! Comes out April 29. “Terminator Salvation” left us in a foul mood, and we’re not sure Arnold is the answer to what ails the franchise, but we’d love for it to regain its lost glory.